Blue Shift was established in 1993. Starting its operations via a house basement, Blueshift quickly moved into a corporate building, giving the company more space to expand. Blue Shift is most well known for their work on Sega's World Series Baseball titles. ESPN Major League Baseball will deliver the exhilarating drama and heart-pounding action of the "Major Leagues." 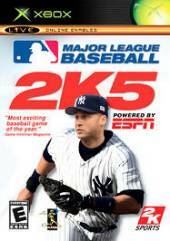 ESPN Videogames is proud to announce that New York Yankees(R) slugger Jason Giambi will be the official spokesperson and cover athlete fo.. 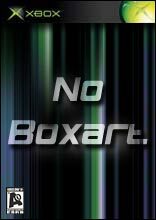 Injected with deadly toxin, ride through 14 sets recreated from famous locations and time periods in the first ever mission-based BMX game. The only way to survive the deadly game show is to complete objectives, avoid deadly obstacles and pull off in.. Developed by Visual Concepts, the development house behind the sports video game revolution and makers of the acclaimed NFL 2K and NBA 2K series, Sega Sports World Series Baseball will deliver a baseball experience on Xbox that will be unmatched in t.. Critically acclaimed and heralded as a genre-defining franchise, "SEGA Sports World Series Baseball 2K3" will launch in March 2003 with a host of gameplay and visual enhancements, including an ESPN telecast-style presentation. Produced by Visual Conc..
Race to the finish line as you live all the fun and excitement of the next Walt Disney Pictures presentation of a Pixar Animation Studios film, "Cars." Play as all your favourite characters as you hel..